Usually someone will become unhappy with the current look or function of the existing fireplace. For this you will either have to remove all the old material (such as stone or bricks), go directly over the brick (as long as it’s flat) or you’ll want to build a wood frame around it to attach your drywall to it. This is one of the more expensive ways to remodel a fireplace, but it’s also one of the best if you wish to totally transform it. Drywall also allows you to then create your own style and decorative touch. 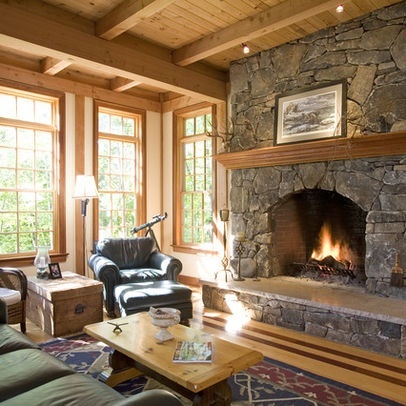 Well, fire-codes vary across the country but most require six or more inches of non-combustible Facing between a wood-burning firebox and the leg of a wood mantel and usually call for ten to twelve inches of non-combustible facing between the top of the opening of a wood-burning fireplace and the bottom of a wood mantel header.